Orbit Festival returns to Home Manchester to present new work from theatre-makers around the globe who want to explore how we face the world. The Orbit Festival 2018 line-up includes investigations of our relationship with the past, how we remember, a look at the stories we tell ourselves and just what makes us who we are. 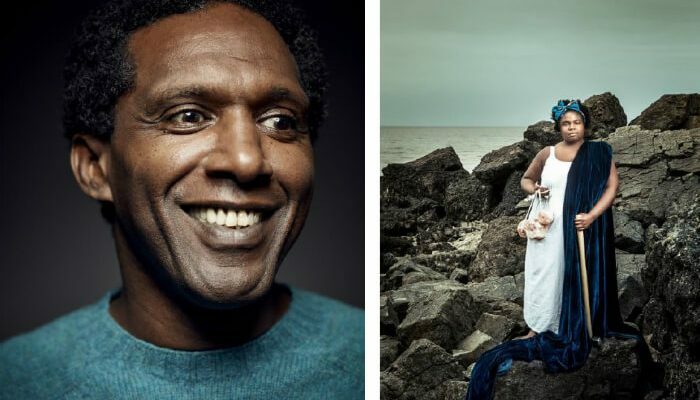 Taking place at Home Manchester, Orbit Festival 2018 will include performances from celebrated Manchester poet and writer Lemn Sissay (pictured above left), Selina Thompson’s multi-award winning salt (pictured above right) and Akeim Toussaint Buck’s exploration of the politics surrounding movement of people, Windows of Displacement. What’s on at Orbit Festival 2018 at Home Manchester? As a generation that grew up into an open-doors Europe and the advances of the internet, we have been accustomed to travel, exchange, and engagement with people from different nationalities. At the same time, a wave of nationalism arising across the world threatens to change all of this and close our national borders. Post is an exploration of what it means to be a migrant, of constantly inhabiting a ‘national limbo’, and failing to adhere to border and identity defining norms. 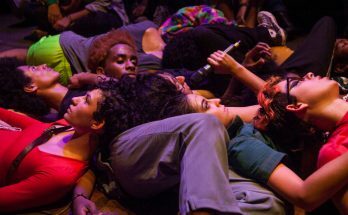 This performance is extra-live and audiences are invited to respond to the show in whatever way feels natural. Xavier de Sousa is a Portuguese -born artist and performer who specialises in personal and political heritage within the context of mainstream discourse on national identity. Curated by award-winning Manchester-based company YESYESNONO, Propel is a scratch night for the experimental, for the daring, and for the alive. See four exceptional artists try out brand new ideas in an evening of experimentation and daring, with each act exploring the relationship between performer and performance. 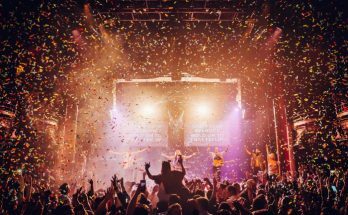 Experience something completely new, give your feedback, and enjoy a roaring performance from a musical act to finish your night. It’s the moment of your death. There’s a magic button. Do you delete your entire online legacy? Or do you keep it – and leave the choice for someone else? User Not Found is about our digital lives after we die. 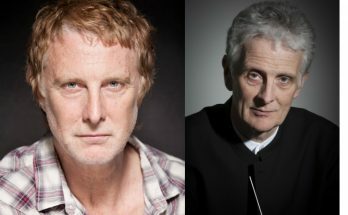 Dante or Die’s new play, created with pioneering theatre-artist Chris Goode, will be performed at Pot Kettle Black on Deansgate in the city centre, where you’ll be handed a smartphone and a pair of headphones. Become a fly-on-the-wall to peer into the life of a man who is faced with keeping or deleting. A journey to the bottom of the Atlantic Ocean. Selina Thompson’s multi award-winning solo show, one of the hottest tickets at last year’s Edinburgh Festival, is about grief, ancestry, home, forgetting and colonialism. It’s about being part of a diaspora. In February 2016, two artists got on a cargo ship, and retraced one of the routes of the Transatlantic Slave Triangle – from the UK to Ghana to Jamaica, and back. Their memories, their questions and their grief took them along the bottom of the Atlantic and through the figurative realm of an imaginary past. It was a long journey backwards, in order to go forwards. This show is what they brought back. Lemn Sissay was 17 when he wrote his first poetry book, which he hand-sold to the miners and millworkers of Wigan. Since then his poems have become landmarks, sculpted in granite and built from concrete, recorded on era-defining albums and declaimed in over 30 countries. He is now one of the nation’s best-loved voices. 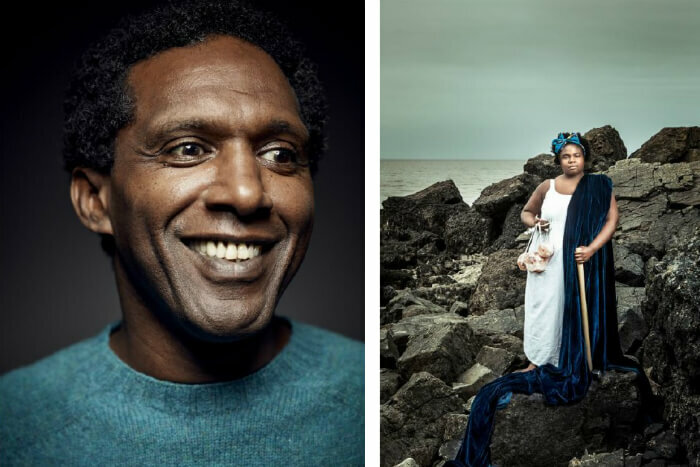 After his sell-out tour of Something Dark in 2017, Lemn Sissay returns to HOME to read poems from his latest collection Gold from the Stone. Windows of Displacement, choreographed and performed by Akeim Toussaint Buck is an autobiographically sourced solo; blending dance, song and spoken word to explore personal narratives, ancestral memory and the shifting (and increasingly urgent) politics surrounding the movement of people. Using his experience of being born in Jamaica and now residing in the UK as starting point, Akeim Toussaint Buck explores both historical as well as current political and socio-economic references. Meet Asterion, better known as the terrifying, bloodthirsty Minotaur of Ancient Crete. Follow them through one stark night, one cabaret odyssey, one strapping search for the man they might want to be. Bullish pits ancient mythology against modern gender navigation to furiously disrupt, traverse and rewrite the rule book. A new mythical play with songs, negotiating ancient and new territories in transmasculine gender and identity, Bullish drops a proverbial bull into a china shop and hopes it breaks everything. Milk Presents’ show Joan was nominated for a Best Studio Production at this year’s Manchester Theatre Awards. Three years ago, James met the love of his life. A year ago, they broke up. This is James’s story of falling in love and landing broken-hearted. It’s also about him being Best Man of Honour at Sarah and Emma’s wedding. And it’s the story of a quest: to find the right words to make sense of love. A Hundred Different Words For Love is a hilarious, heart-lifting story of romance, despair, and above all, friendship from one of the UK’s most acclaimed storytellers. Winner of the 2017 Vaults Festival Best Show Award, the show sold (almost) every ticket at the Edinburgh Fringe, with rave reviews and audience responses. Two performers, a mini trampoline, and a 1000-piece puzzle. Leah and Sophie have been together, here, for a long time. They are happy here. But there’s a problem. There’s a massive f**king problem and soon they’re going to have to talk about it. The award-winning Antler Theatre return with a playful, intimate dissection of a relationship teetering on the edge of collapse. 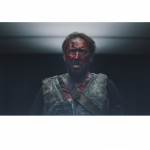 Exploring the impossibility of relationships, our inability to understand one another, and the lands we isolate ourselves on, this is an absurd tragi-comedy for our times. Antler are an associate company at the Bush Theatre, London. Often Onstage is an offbeat facetious romp that explores the ins and outs of the stage through the medium of dance. With one step forward and two hundred steps back this choreographic exercise in comings and goings plays with a myriad of ways to enter and exit the stage, unearthing dormant anxieties about life choices along the way. With curtain calls, bloodbaths and exits pursued by bears, Often Onstage revels in the absurdity of theatrical traditions with the straightest of faces. When does Orbit Festival 2018 run at Home Manchester? Orbit Festival runs at Home Manchester from Tuesday 23 October until Saturday 3 November 2018.